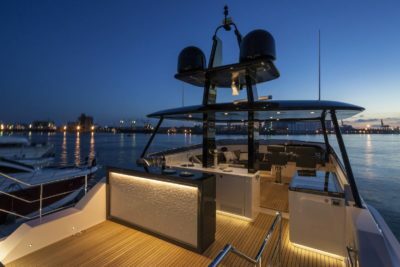 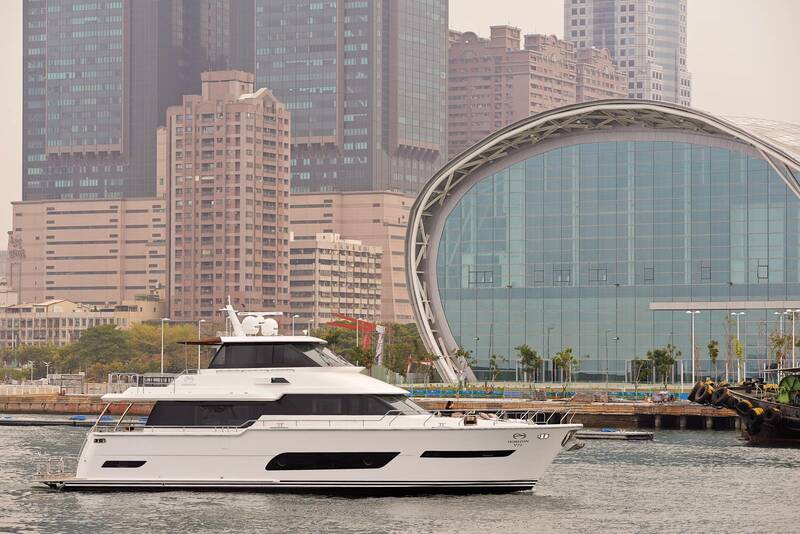 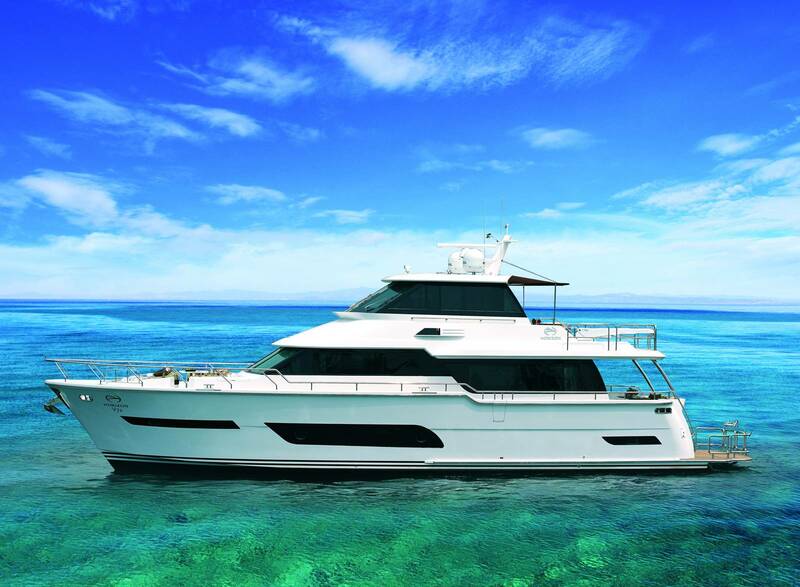 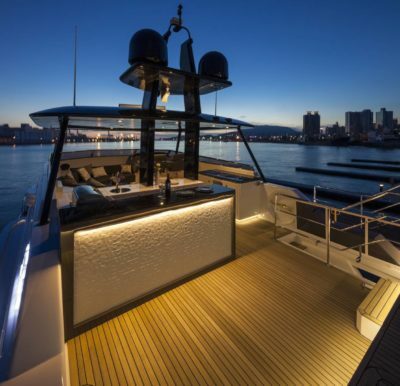 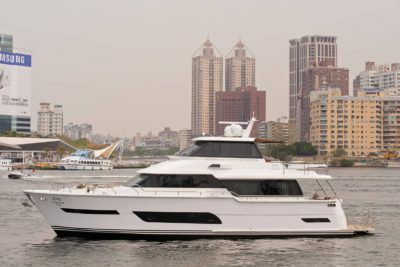 The new Horizon V72 motor yacht embodies the style of things to come: clean, fluid lines that offer unparalleled interior volume and expansive exterior entertaining areas. 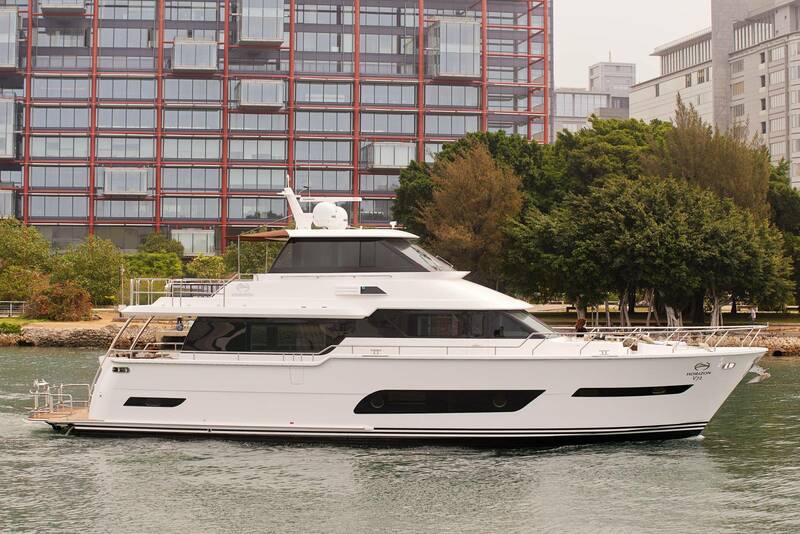 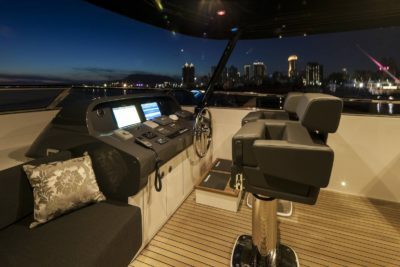 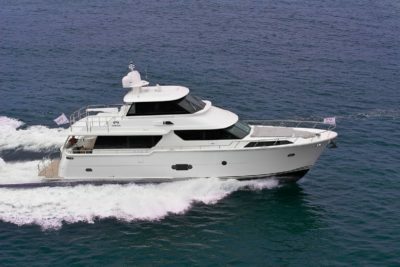 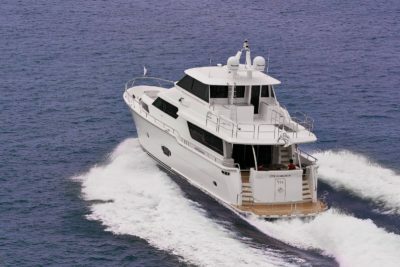 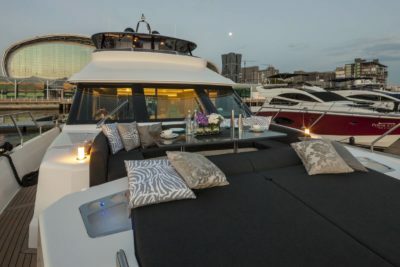 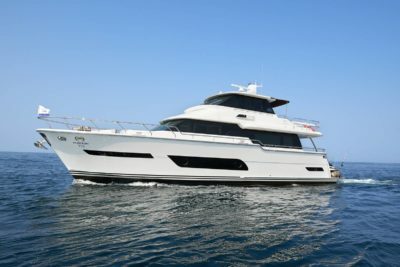 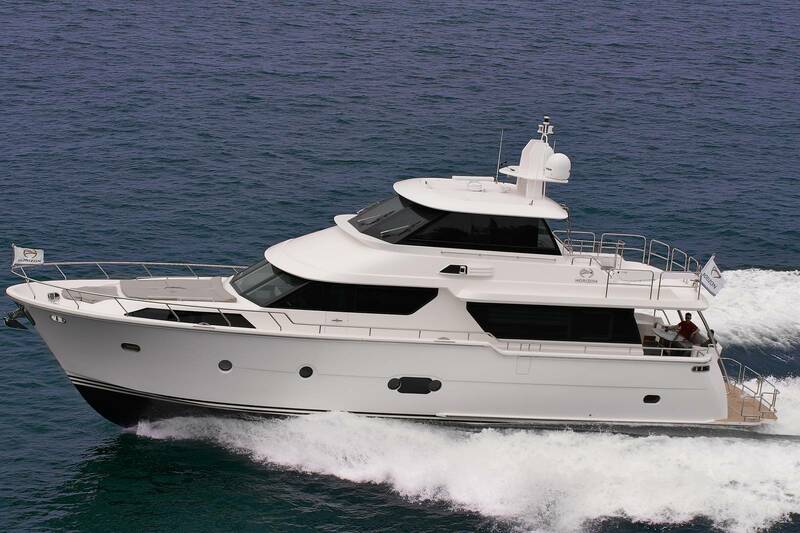 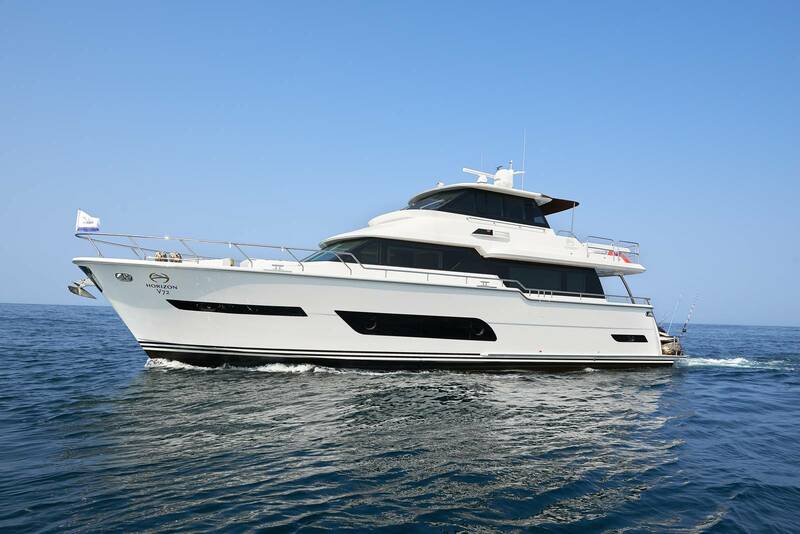 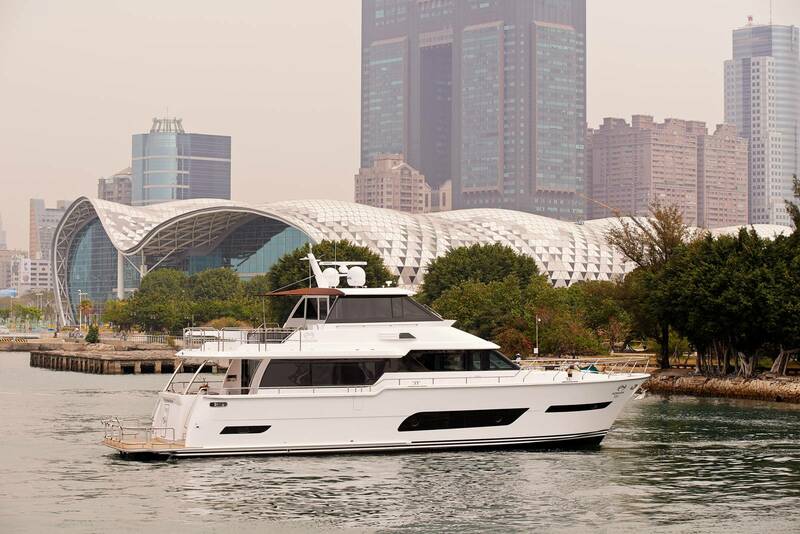 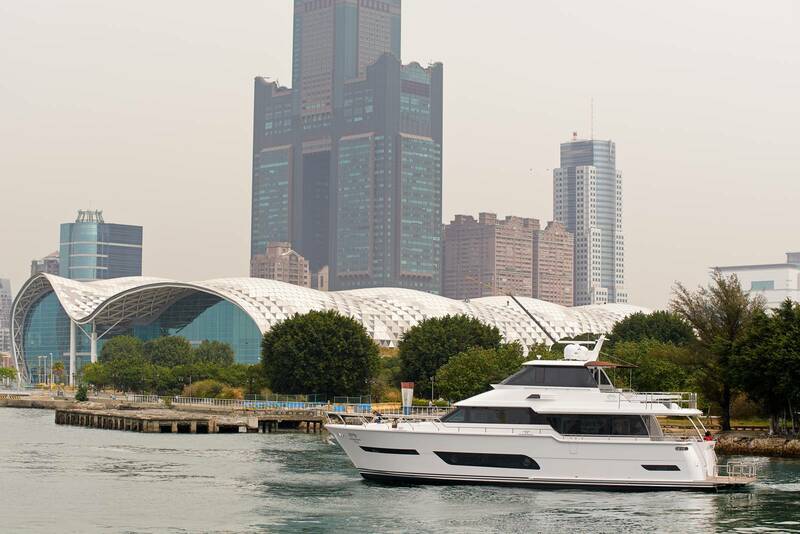 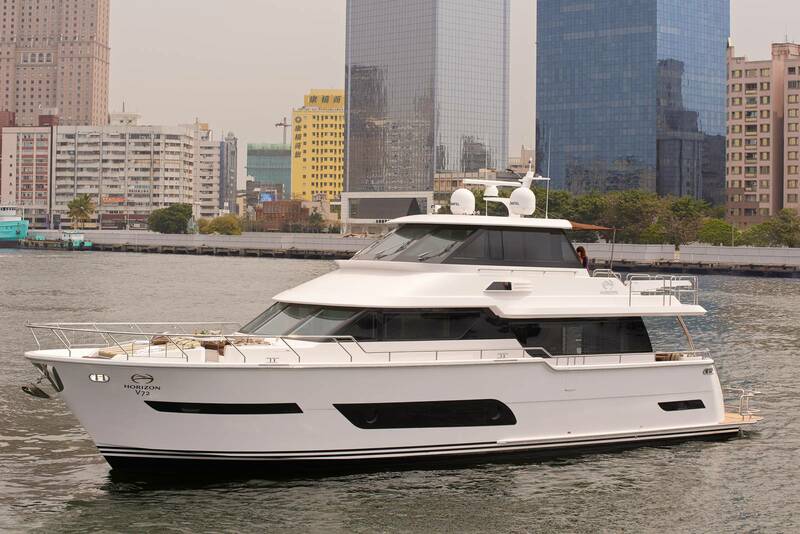 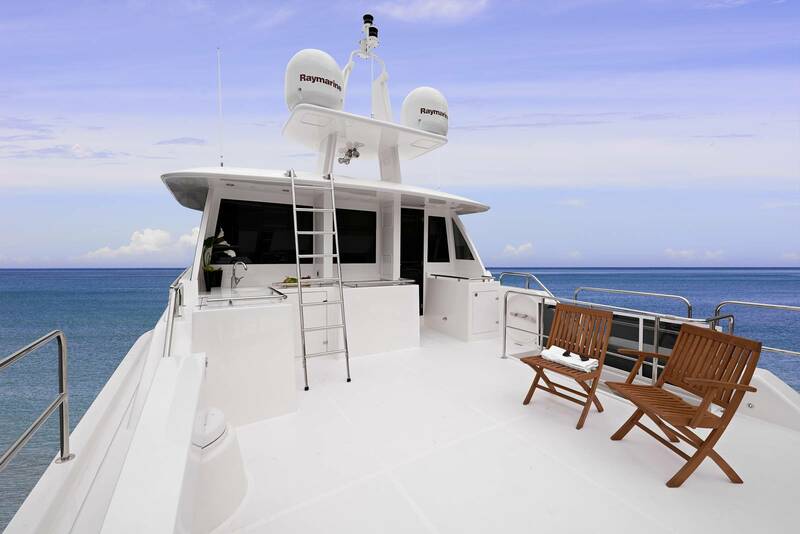 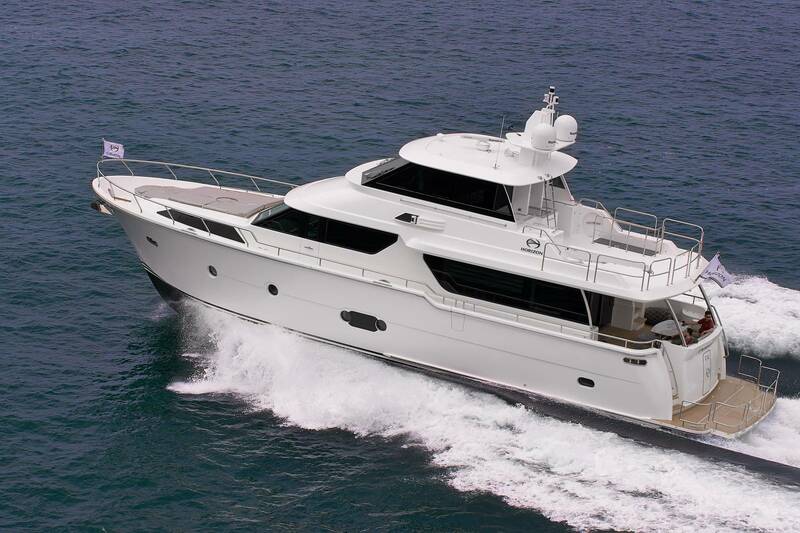 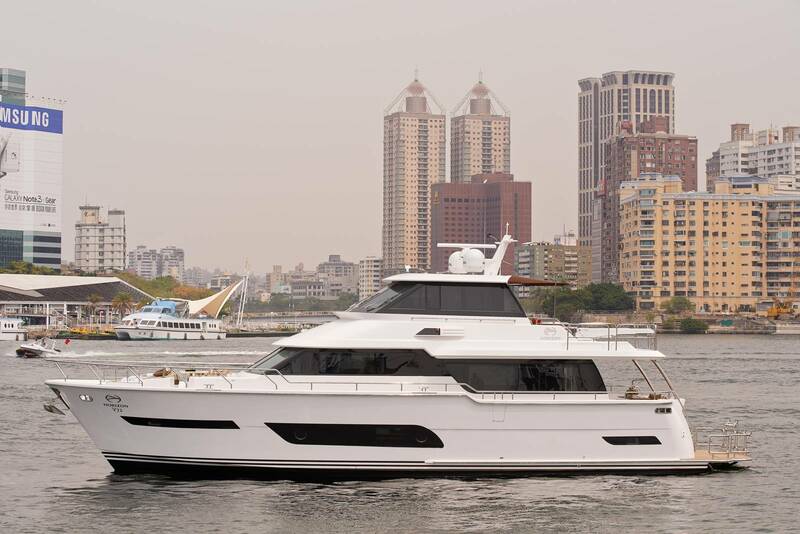 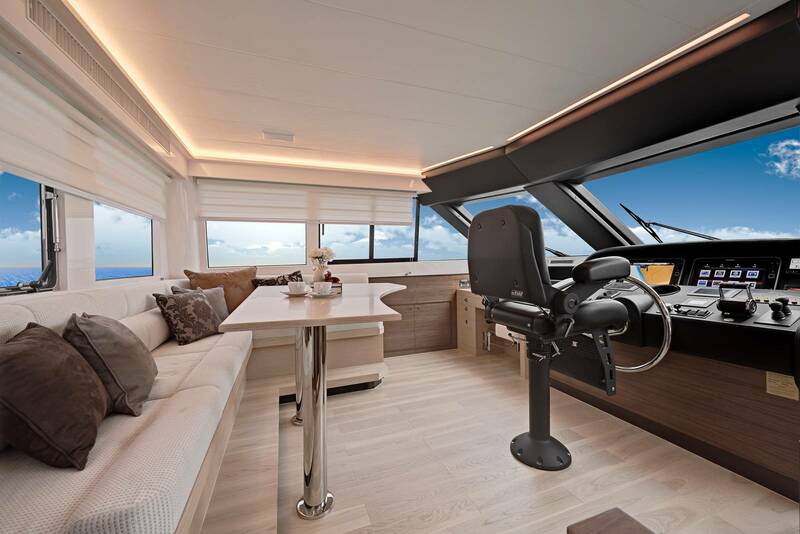 Interior spaces on the V72 are uninterrupted, with a flush deck salon-to-galley transition, an open main deck level, and streamlined lower deck windows that maximize natural light as well as enhance exterior styling. 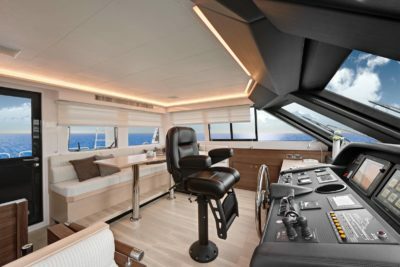 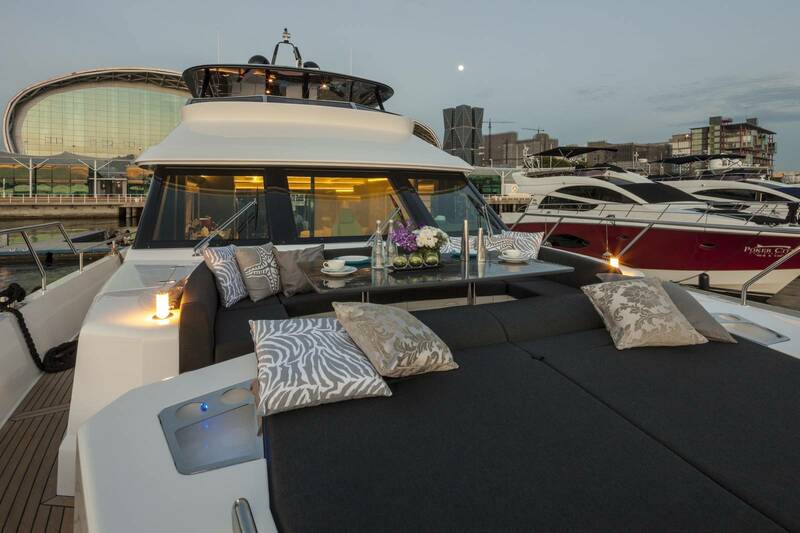 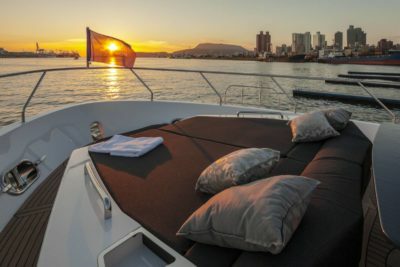 With an open boat deck and aft deck area and innovative foredeck seating, the V series is designed to suit your cruising lifestyle — whether it is laid back and relaxed or adventurous and outgoing. 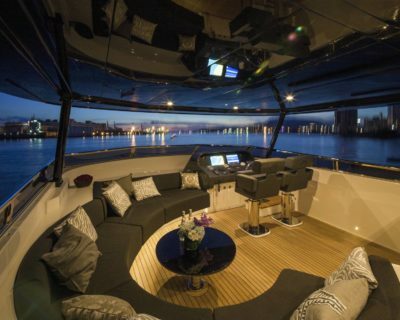 We are the Horizon Yachts specialist.